Kari Bristow is a Licensed Cosmetologist and Master Esthetician of 8 years who specializes in Lash and Brow Artistry. She has experience working in salons as well as building her own successful lash business, Rise Artistry. 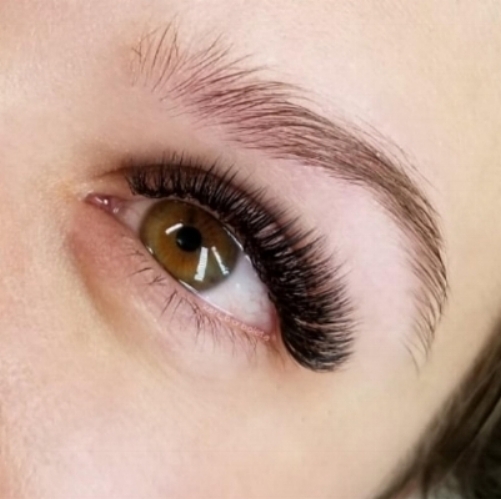 Kari has been trained with and certified through Bella Lash and Minkys for Classics, Borboleta for Volume, as well as Lash Makers for Mega Volume. She will be attending a training with Maven Artistry this Summer, which she's super excited about! 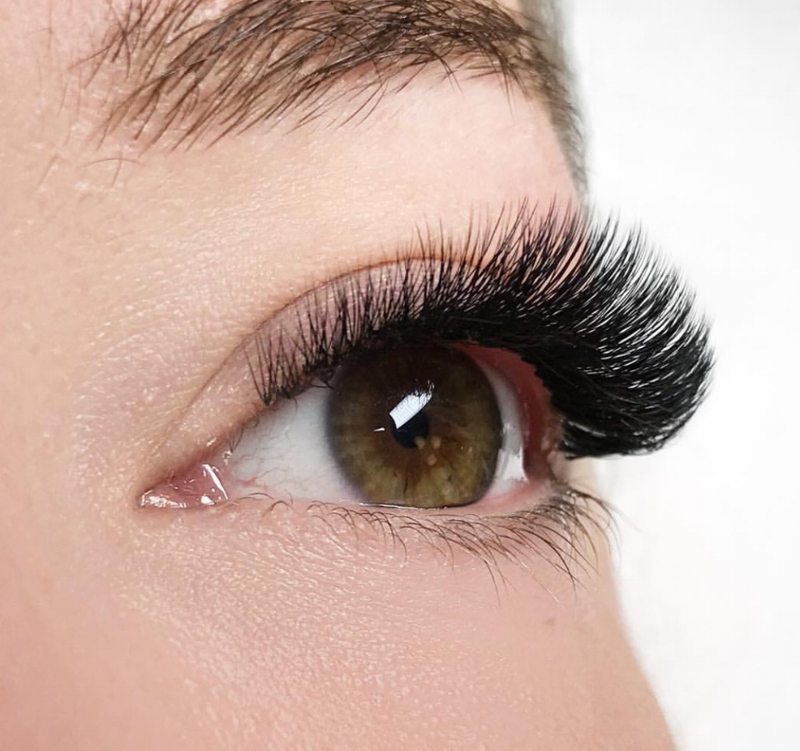 Kari is also a Licensed Educator with 6 years of teaching experience and has worked with schools and lash companies, as well as solo trainings. With her varied experience both in working and educating, as well as testing out numerous lash brands, Kari has vast personal knowledge and is an influencer in the lash industry. Kari is passionate about educating, inspiring, supporting the lash artist and building a community that empowers each individual artist to be their own unique, and successful self. Keep your eyes peeled for an exciting new project from this talented girl, she's gunna be making her knowledge and expertise more easily accessible to a wider audience soon! Cassie Nielson is a licensed cosmetologist of 10 years, with 6 years dedicated to the craft of lashing. 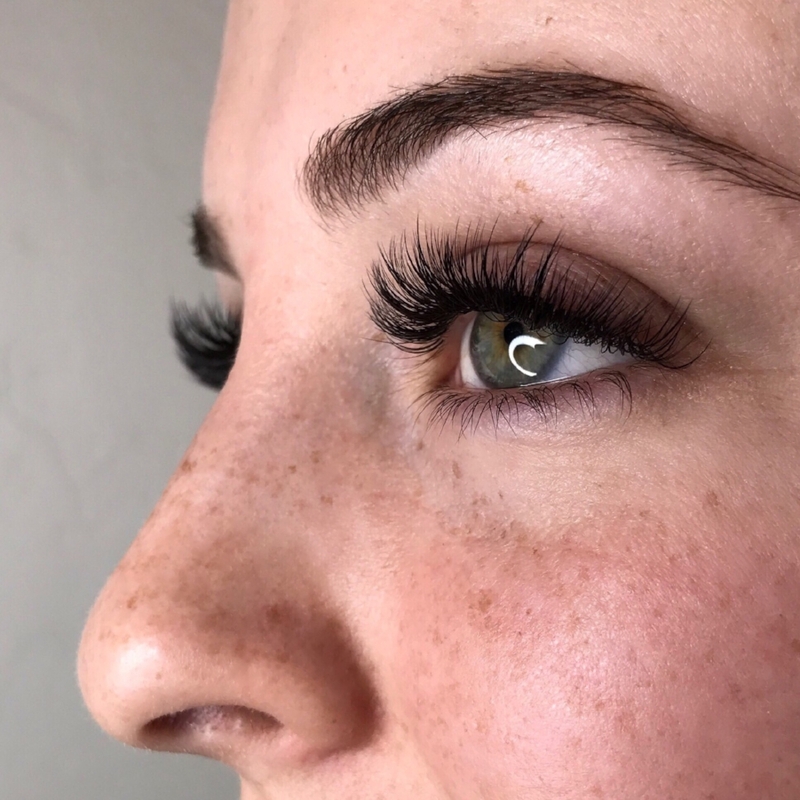 She first trained in classic while she was living in Utah, during a time where classic lashes were the main focus and trainings were very simple. In an effort to create customized shapes and textured lash lines, Cassie became really comfortable taking risks. She had to navigate her own course to figure out a way to do things better. It turned out that all of these other artists behind the scenes were doing the same thing! A lot of this new generation of top artists and trainers were those stubborn and creative ones. Creating fun and authentic relationships within this lash community is what keeps her passion and artistry limitless. She loves helping other artists believe in themselves and look at things in a new way. Cassie trained in volume technique from Borboleta Beauty and has big plans of mastering mega volume soon! Cassie has always had an innate desire to create something new and different. She jumped into the ballet world at 26 as a first time dancer and paved her way through a very late unconventional late start, earning her BFA with a ballet emphasis. Nothing gets in her way of creating art! Kristy Cockerham is a licensed Esthetician of 6 years. She received her certification in Classic Extensions through Borboleta in June ‘17 and her Advanced Volume certification in December ‘17. She has only been lashing for 8 months, but her passion to challenge the status quo and her continued mentorship amongst other lash artists has propelled her skill set. Kristy sees her journey through this industry as limitless. Her goal is to reach and inspire as many creative minds as possible; whether that be through the knowledge she shares or through the work ethic she demonstrates. “Luck is when preparation meets opportunity” -John Wooden and Kristy hopes we all stay lucky as possible. Jamie Macleod is a certified lash and brow artist with 10 years of experience in beauty and business management. Beginning her career as a makeup artist, Jamie found her love to lash while managing a medical spa in Calgary, Alberta. She now owns Lash Dash Studio, which focuses on creating unique lash lines catered for each client’s face, lifestyle and personal aesthetic. Her passions for photography and writing have aided her social media platforms to act like a personal diary, told through the story of lashing. Jamie believes strongly in freely sharing knowledge and inspiring others, which has started a new path of life coaching for her career. It has also supported her love for training lash artists and providing ongoing mentorship. She’s been working on two books since she was young and hopes to one day publish them. Cali Reeves is 21 years old. She started in an esthetics program when she was 17 and finished the program just after graduating high school at 18. She then received her business license to begin her journey as a full time lash artist. From there, Cali set out a goal to buy her own home and by 20 years old she had signed the papers for the mortgage on her first house, located in St. George, Utah. She has lived in Southern Utah her entire life and says she was raised in the most supportive and motivating family ever! Cali doesn't know where she’d be without her parents, siblings, and friends. She now lives with her boyfriend, who is one of her greatest supporters, and their two sweet rescued pups. As of now, Cali has two certificates for classic and volume lashes and will be recieving her third in November. Lashing is her passion and she wants to share it with the world!